The Modern Woodmen of America was a fraternal life insurance society founded in Iowa about 1890; they called their lodges “camps.” During the late 1800s, the Woodmen popularized “tree stump” grave markers, which symbolize a life cut short. Today there are over 750,000 members in 2,300 camps and 700 youth groups across America. 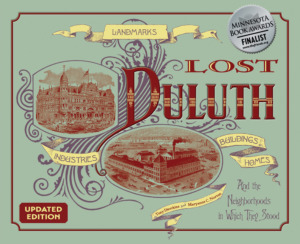 Duluth had several camps in West Duluth as early as 1897. 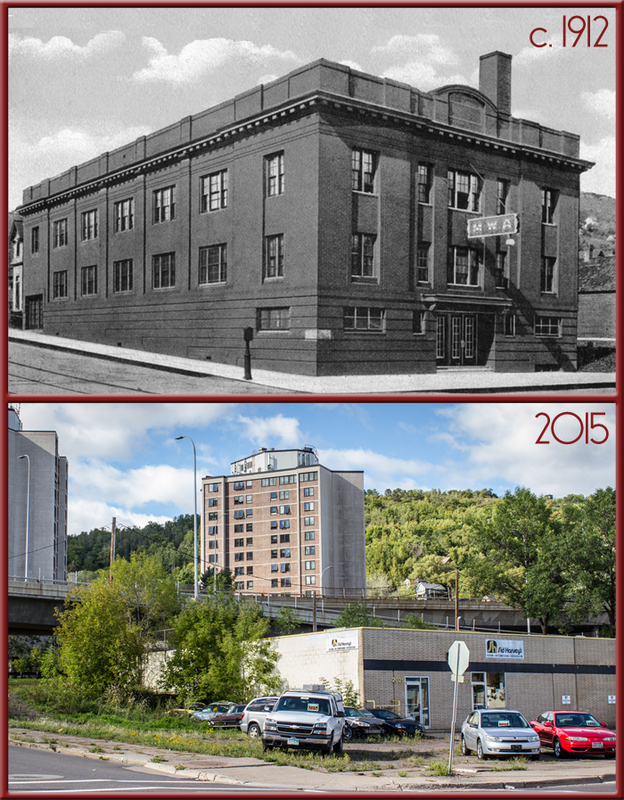 In 1912 they joined together to build Modern Woodmen Hall, a two-story brick building containing meeting halls and an auditorium which was rented out for meetings and parties. 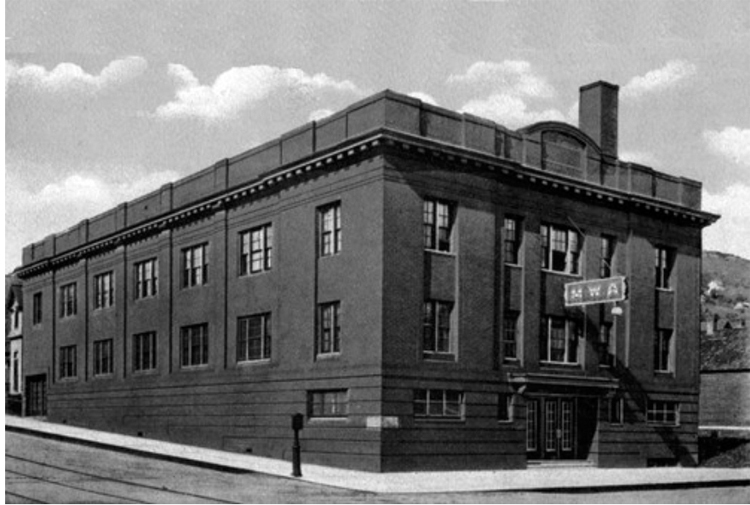 The Modern Woodmen camps moved out of the building in 1990, after which the building was occupied by a printer and a carpet store before being razed in 2004. The lot remains empty.